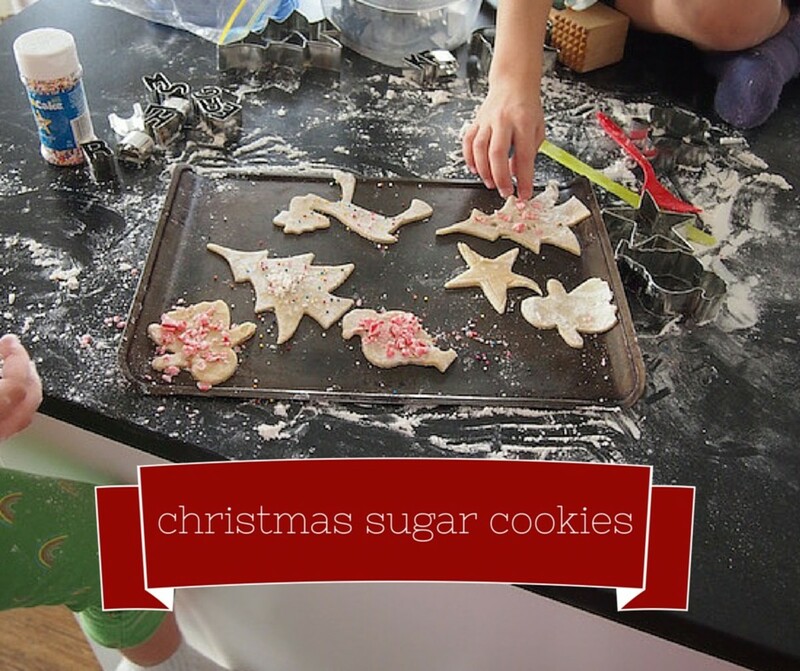 NOTE: This is a basic sugar cookie recipe and can be used for ant occasion, we used them for Christmas cookies here. Nothing says the season of joy is here like spending time in the kitchen with family. 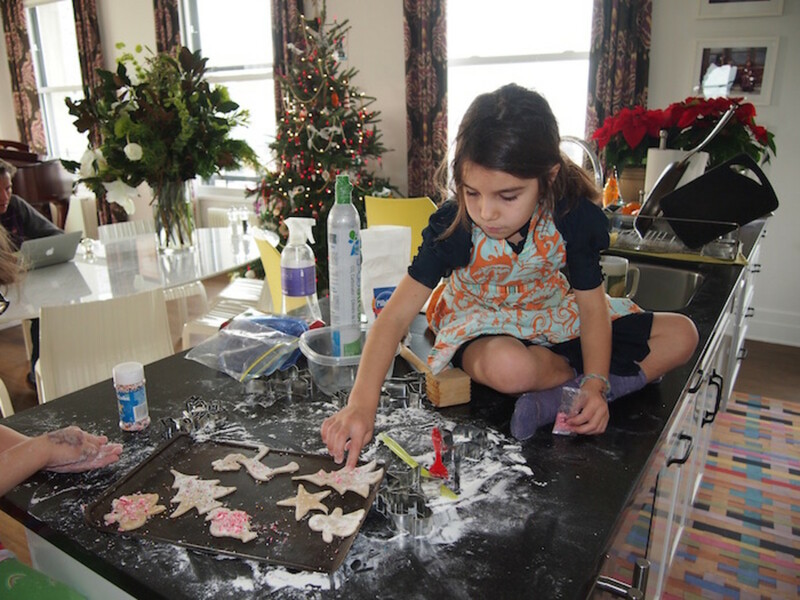 Last week I took on a Classic Christmas Sugar Cookie playdate. While the girls amused themselves with coloring, I whipped up my grandmother&apos;s sugar cookie recipe. Usually the dough needs to be refrigerated for six hours to get the best consistency, but since I had antsy preschoolers on my hands, I popped the 1/3 of the dough in the freezer (the other two packs got stored in the fridge to be brought out at a future date). Once the dough was chilled, we floured some work surfaces and got out the cookie cutters. The key is to keep all your materials floured, but not to go overboard. The extra dough packets I made last about two weeks stored in ziploc baggies. Cream butter, sugar and eggs together until you get a smooth texture. Add remaining ingredients (EXCEPT FLOUR!). Slowly mix in flour. Use your electric mixer as long as possible (note, I&apos;d love to get a kitchen aid stand mixer to make this easier!). Divide dough into 3-4 packets and chill in refrigerator for at least 6 hours. When ready to make cookies, remove one packet and with a rolling pin spread out dough to desired thickness (we like them thin). Cut with cookie cutters and then bake at 350 for 7 minutes. Enjoy! 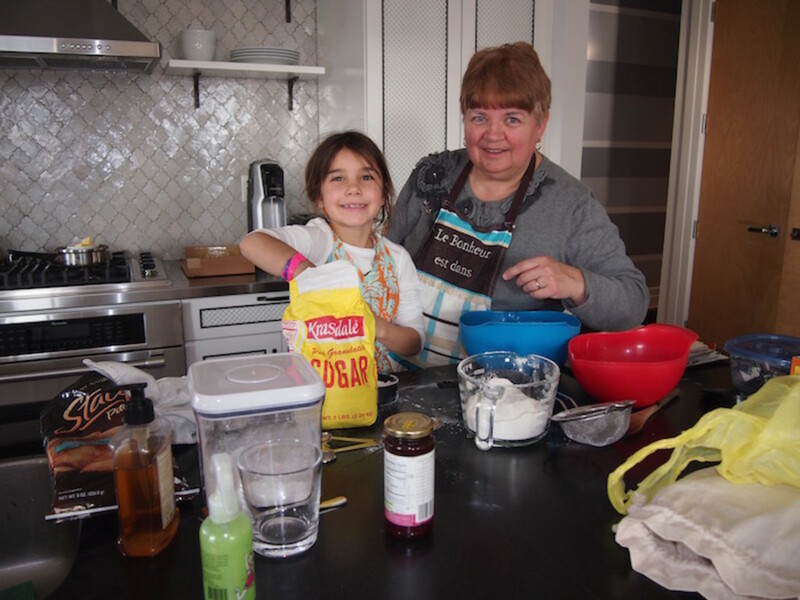 I will say the kitchen always get destroyed in this process because I love to get the little kids involved, but it is priceless to see their creations. My theme for the holidays this year--embrace the chaos!